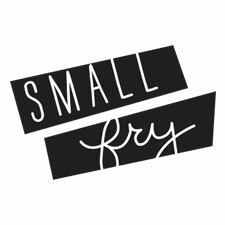 Images by Small Fry Contributor Alyssa Vincent Photography. 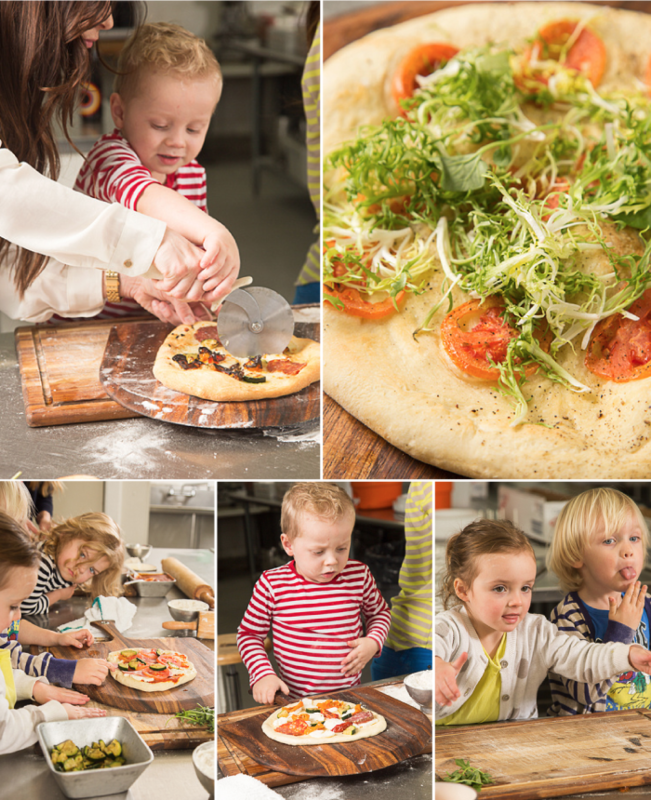 For this month’s Little Foodies adventure, Culinary Crafts had us over to make every kid’s favorite: pizza! 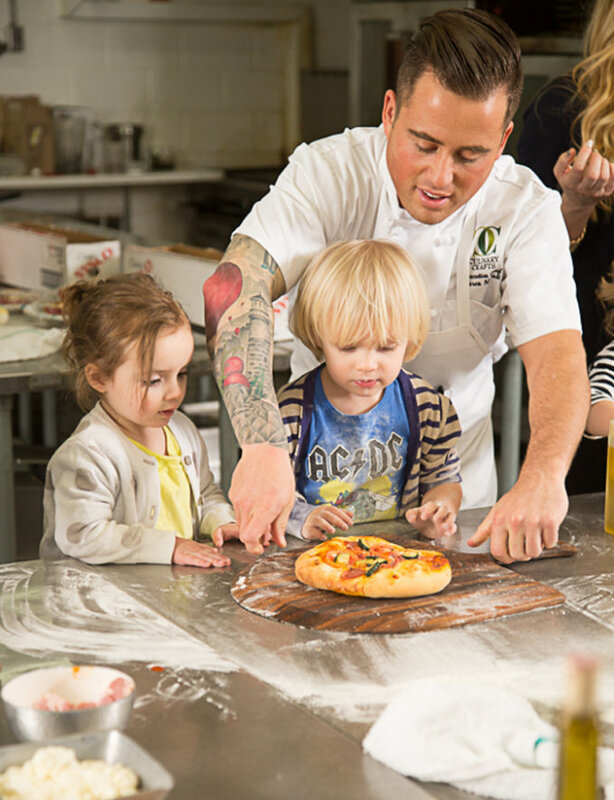 Chef Marco Niccoli showed us the ropes, alongside his darling sous chef and daughter, Luna. We all had a blast! Marco set us up with the most beautiful gourmet ingredients for our pizzas. Fresh mozzarella, salami, Italian ham, short rib, sun dried tomatoes, zucchini, artichoke hearts, butternut squash, arugula, fresh tomatoes, carmelized onions and garlic infused oil to top it all off. Are you hungry yet? 1. Flour your cutting board and lightly spread out your pizza dough. 2. Use a rolling pin to spread it out about the width of a soccer ball for a personal sized pizza. 3. Toss in the air with the glee a la Quinn Rammell and sheer concentration of one Dash Christensen. 4. Once your dough is rolled out you can either top it with a tomato marinara, Alfredo sauce, or garlic infused oil. 5. Once you’ve selected your toppings it’s ready for the oven! Marco’s tip: leave off all fresh greens like arugula or watercress so they don’t burn! 6. Stick the pizza pies in a 400 degree oven for 8-10 minutes and enjoy! 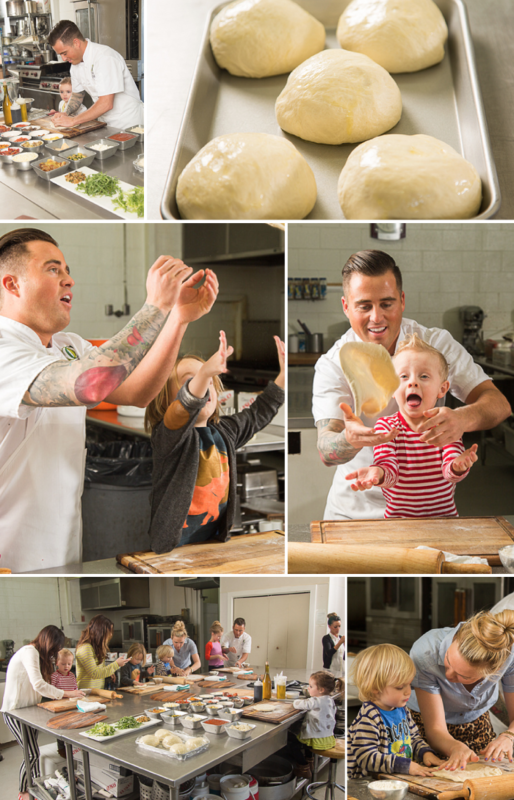 We’re so grateful to Marco and Culinary Crafts for hosting us and creating such a memorable afternoon for us and the boys. If you need the best for your next catered event, Culinary Crafts is it! They’re food is always beautiful and always delicious. Also, huge thank you to Alyssa Vincent for these gorgeous images. She is unbelievable, right? Love homemade pizza, especially when it is made with fresh ingredients from my garden. What recipe for the pizza dough did you use? That photo of Dash is incredible!